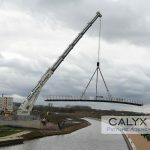 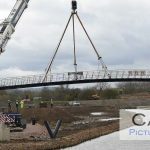 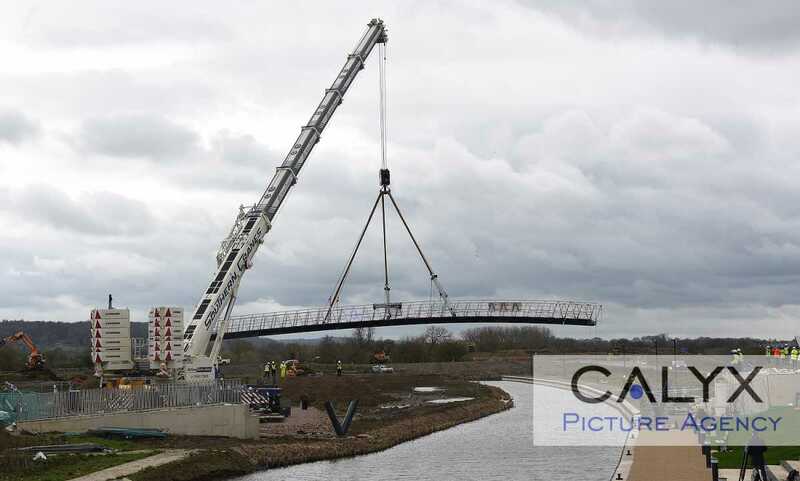 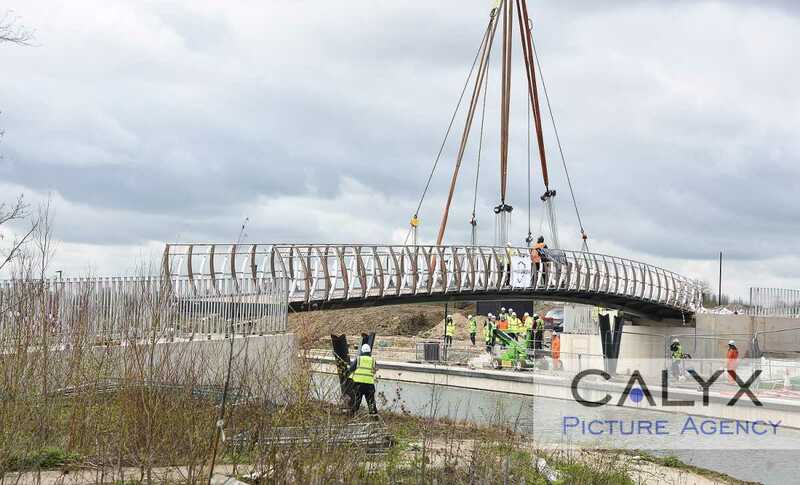 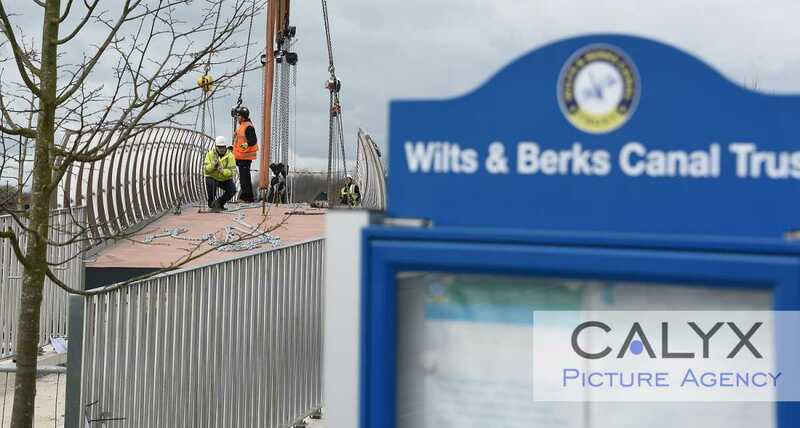 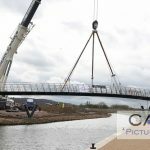 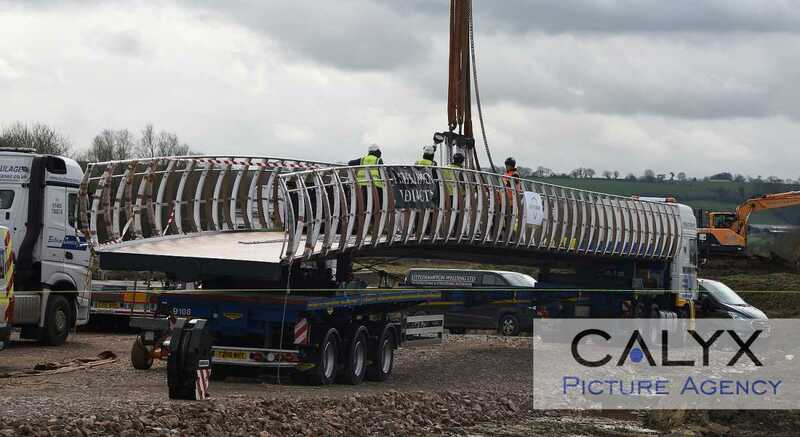 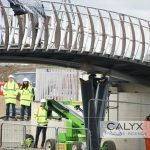 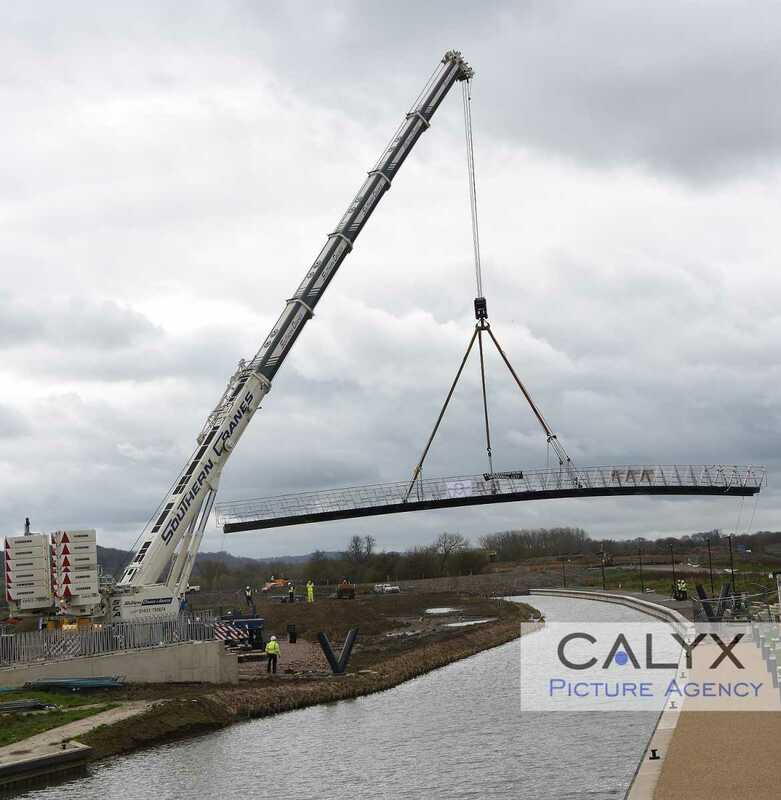 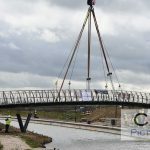 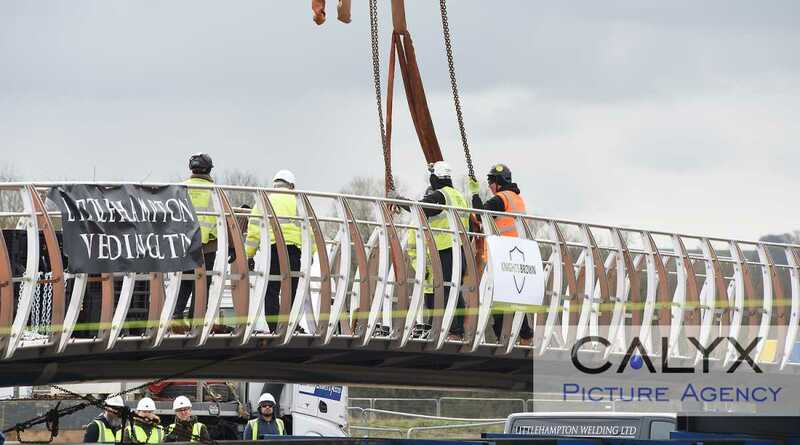 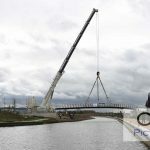 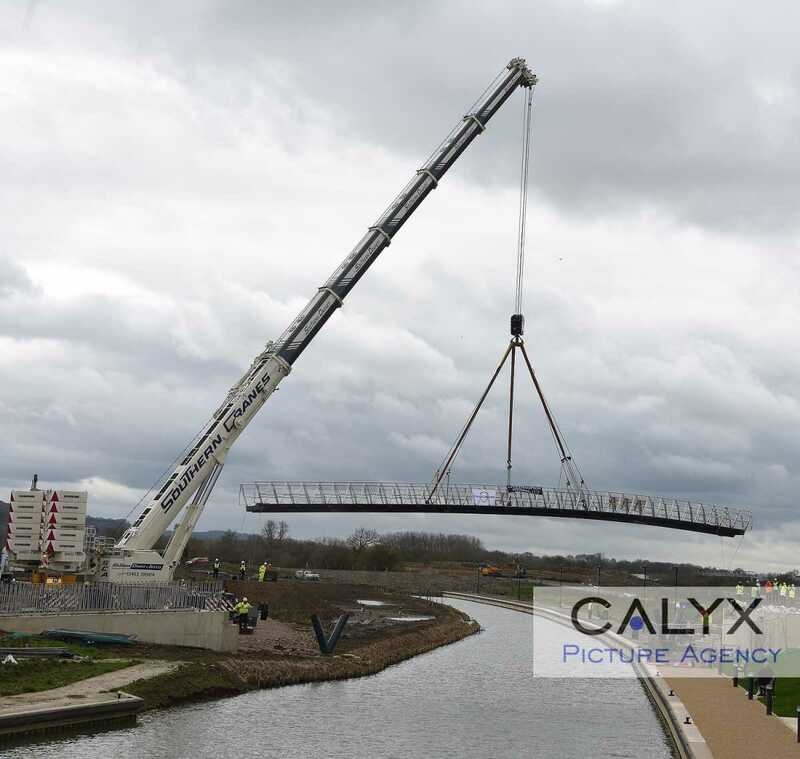 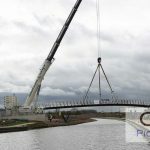 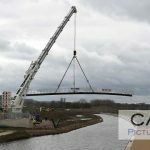 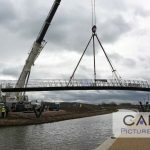 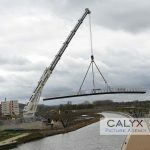 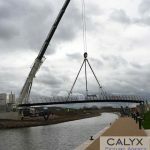 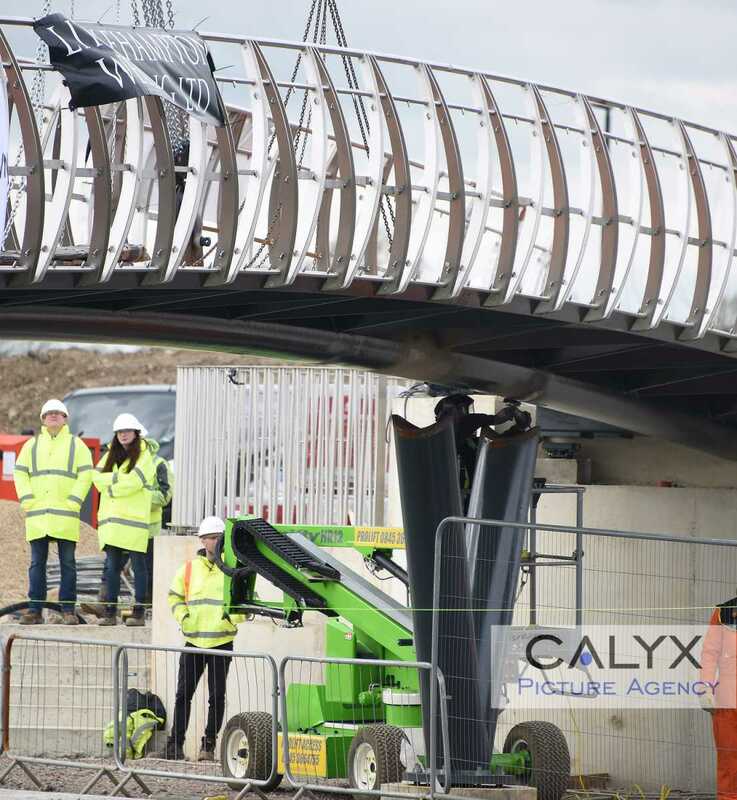 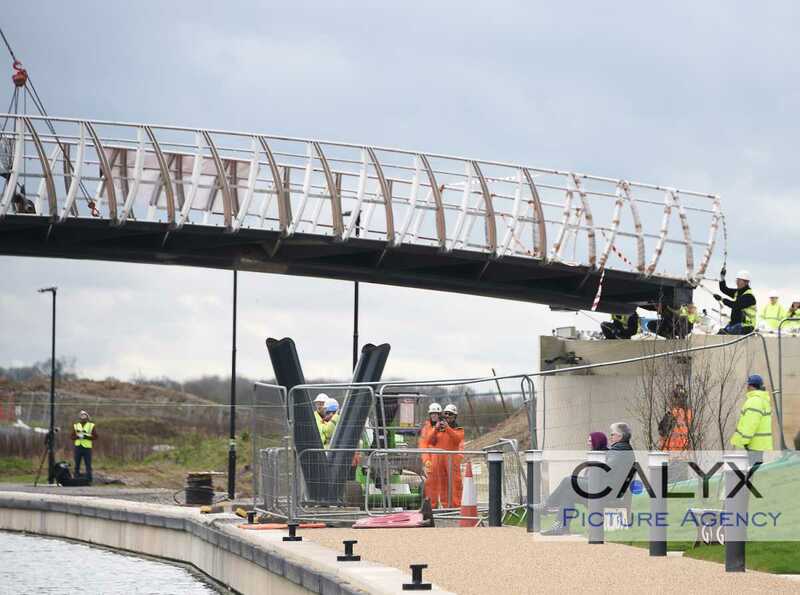 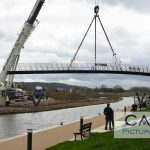 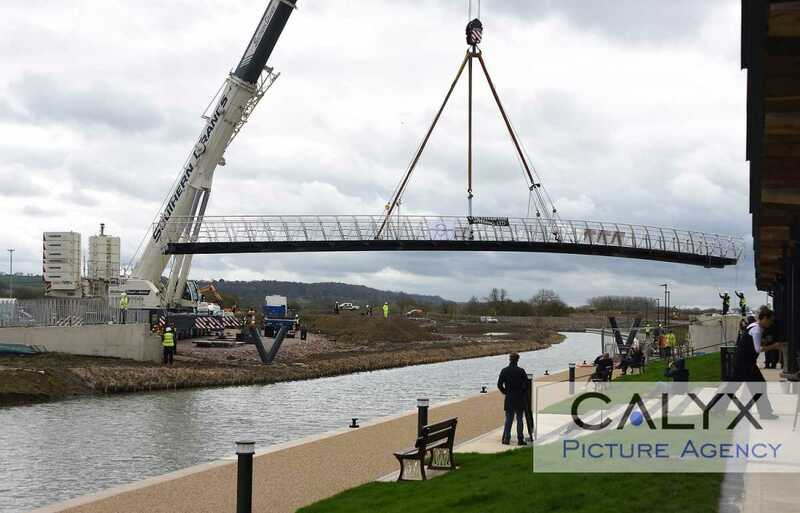 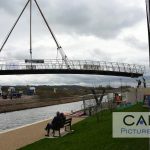 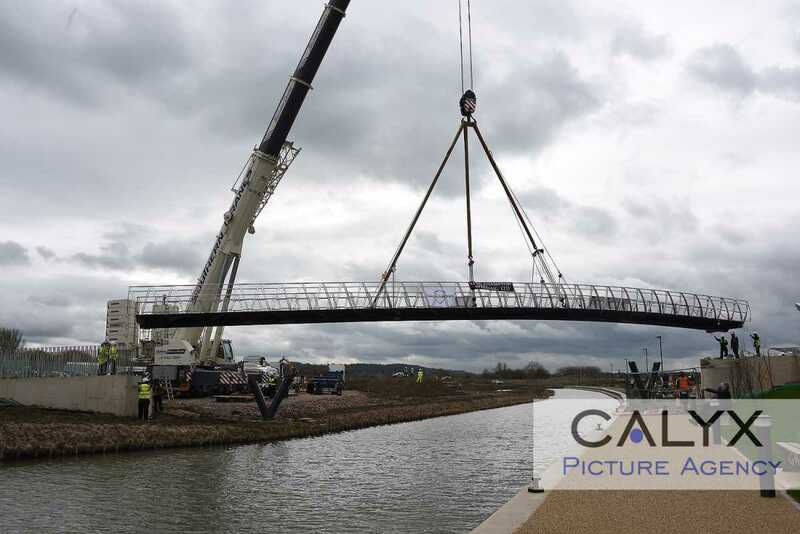 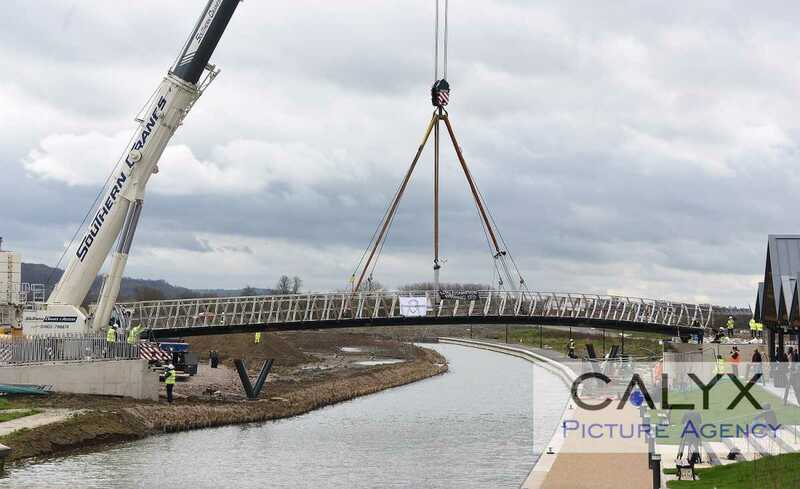 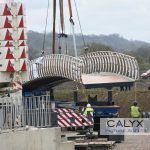 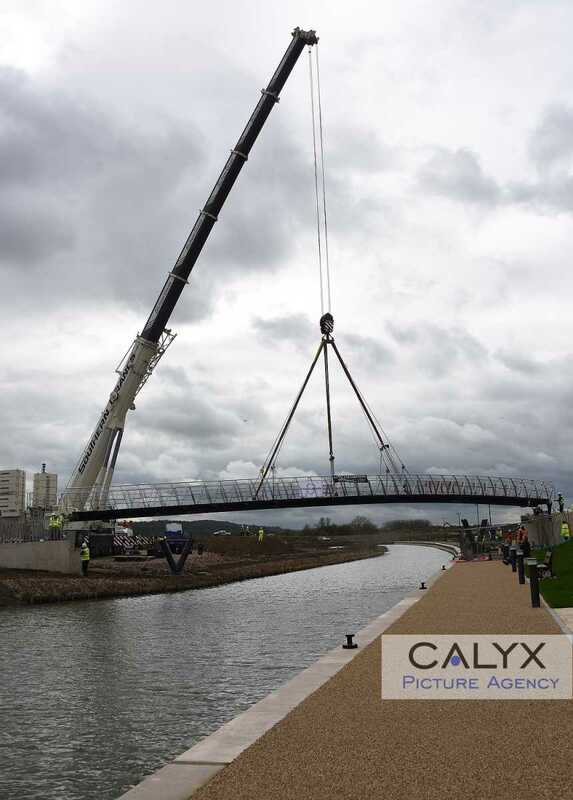 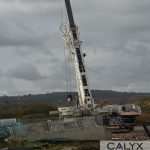 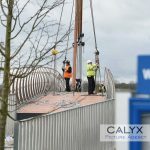 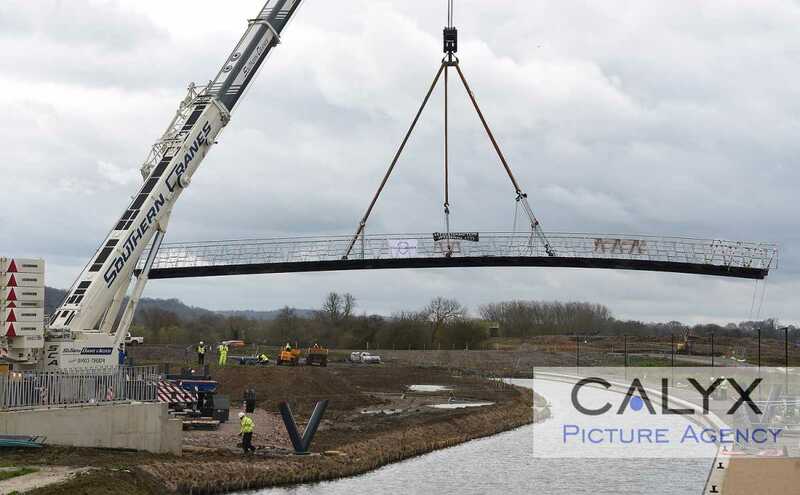 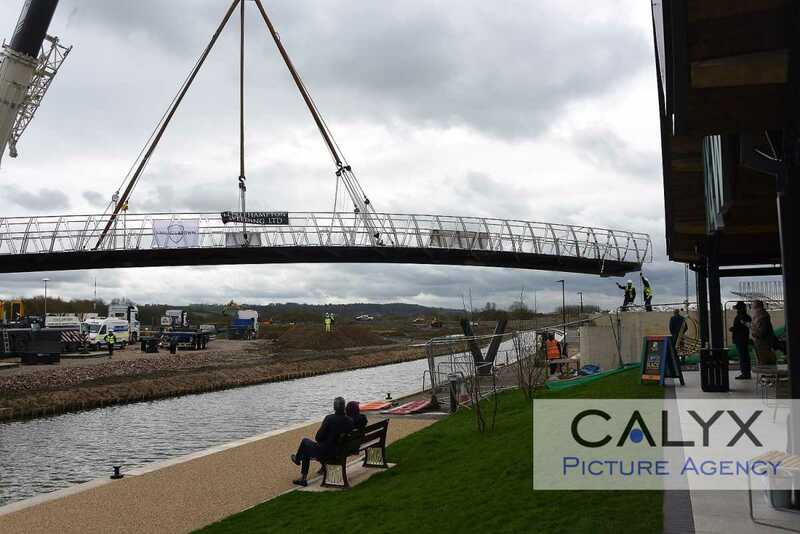 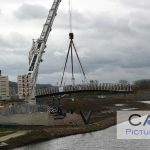 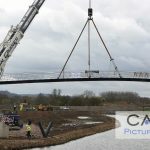 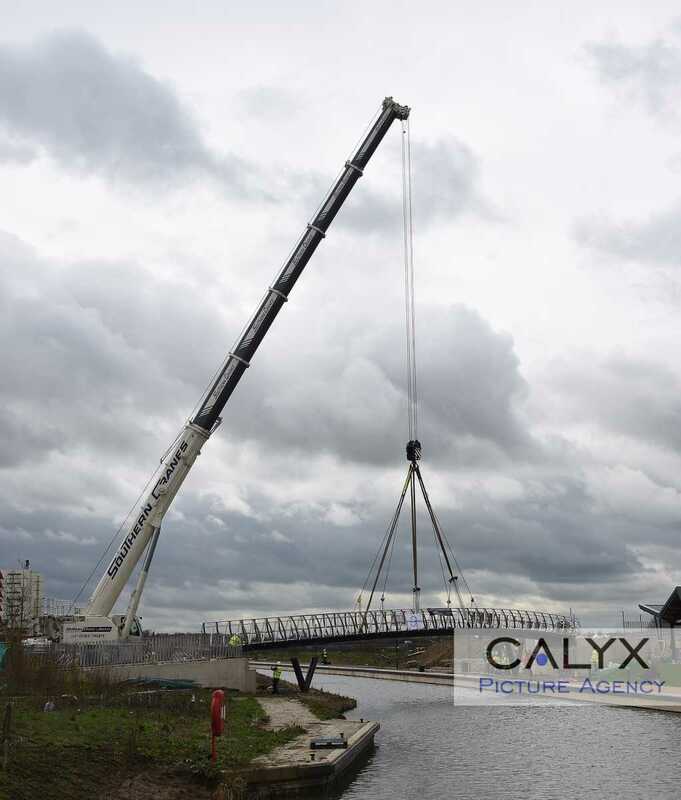 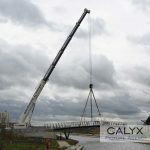 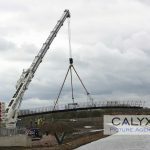 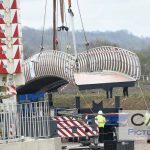 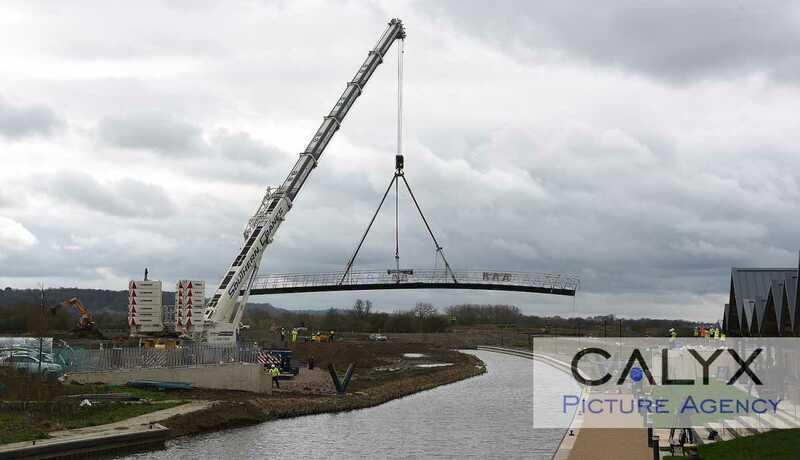 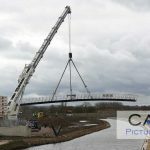 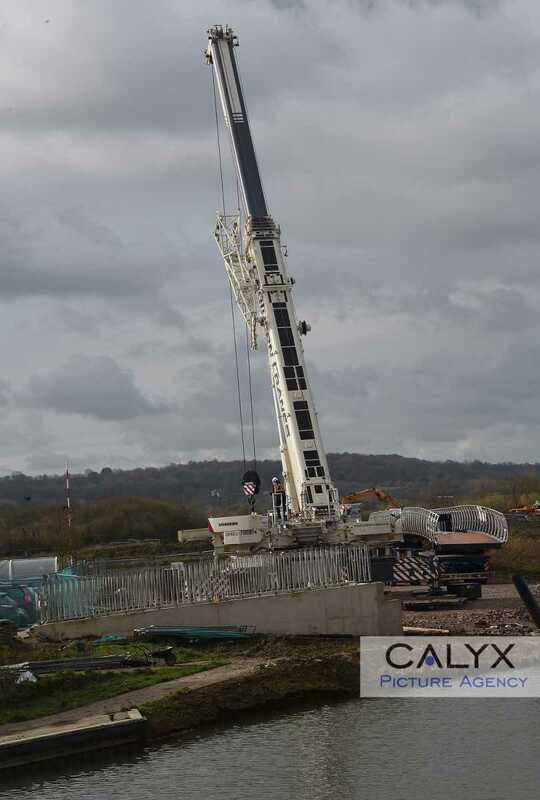 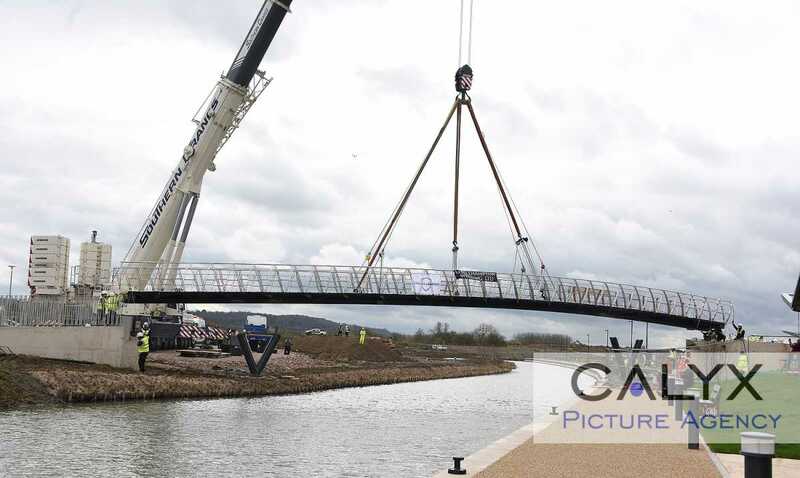 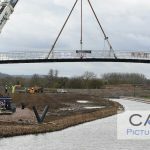 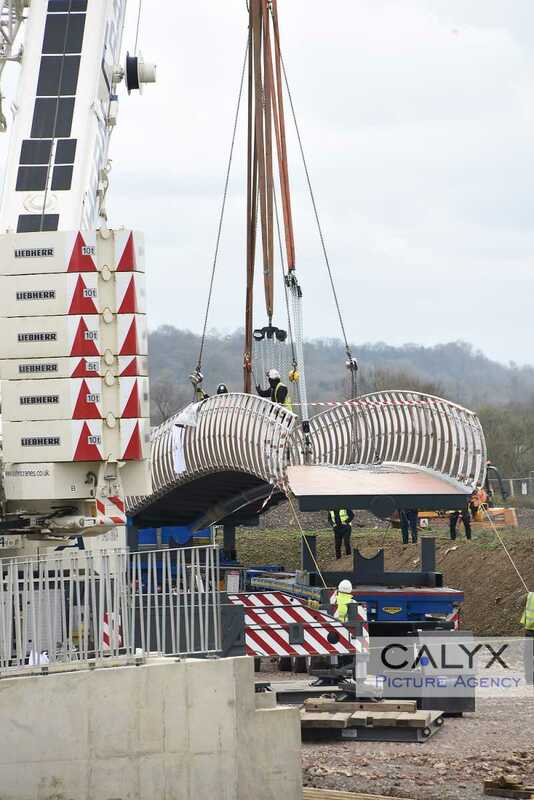 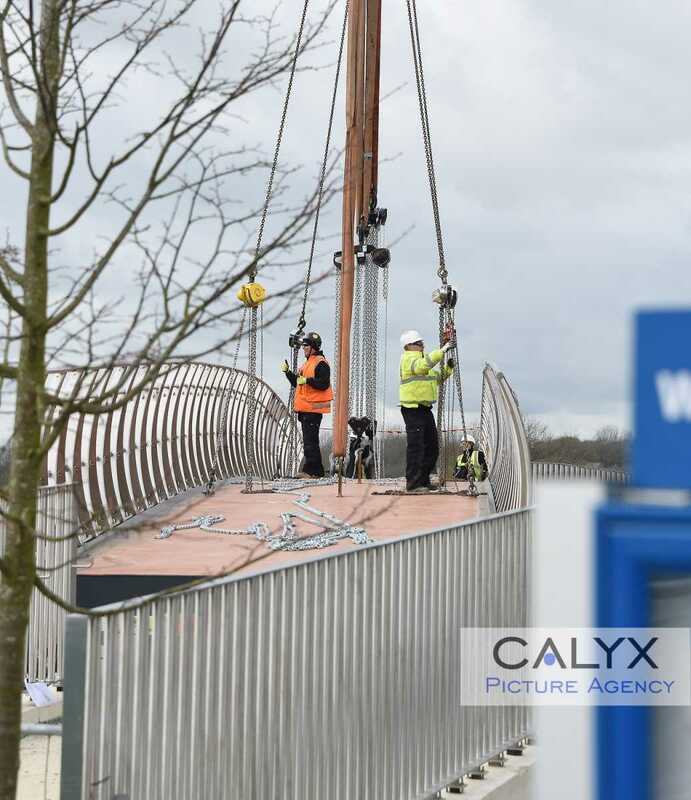 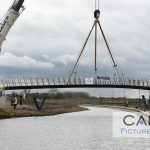 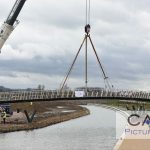 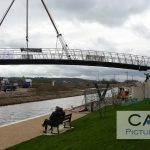 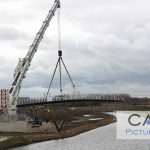 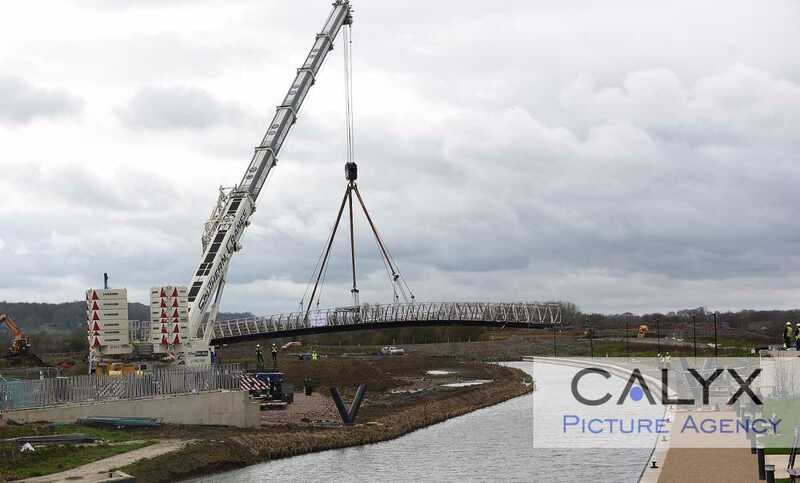 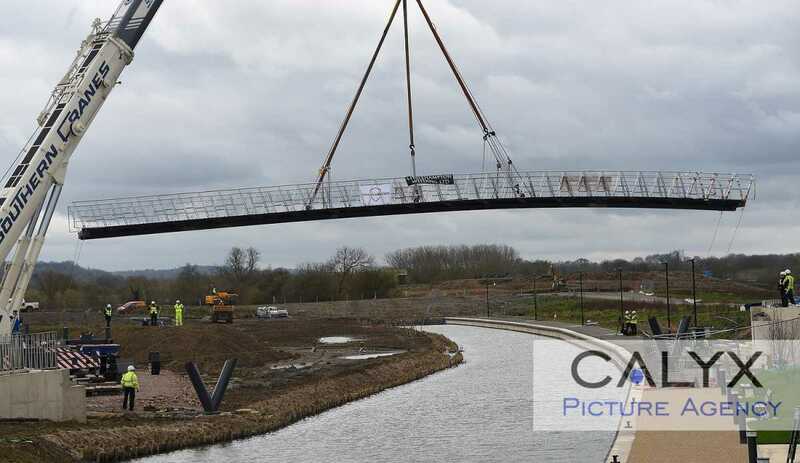 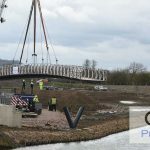 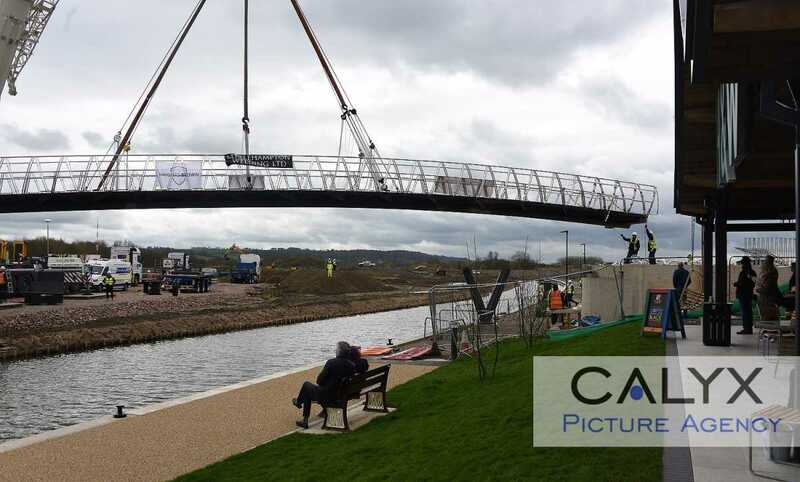 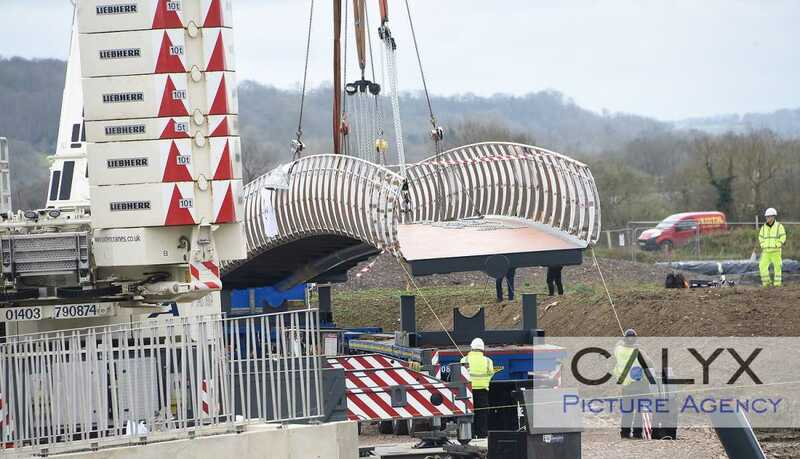 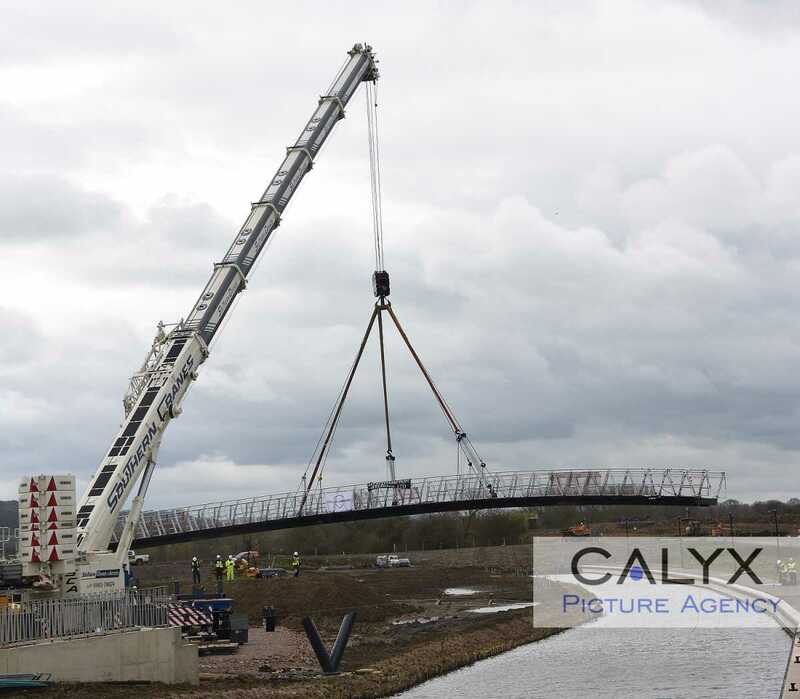 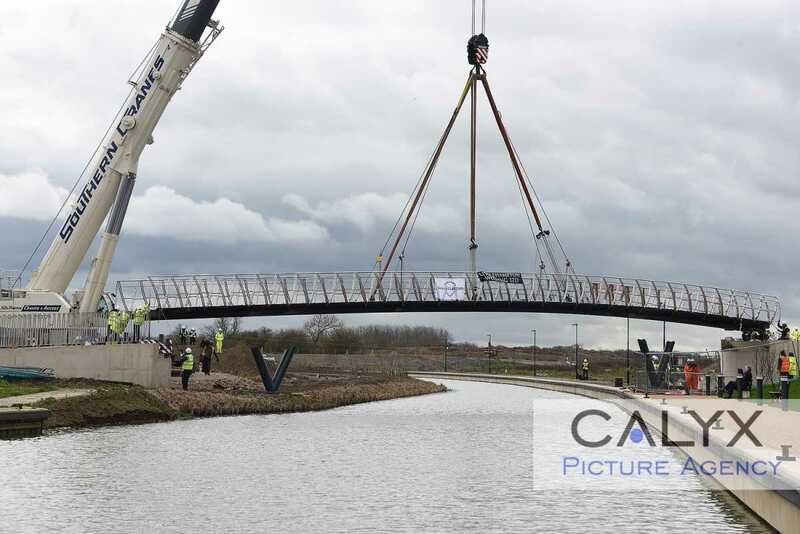 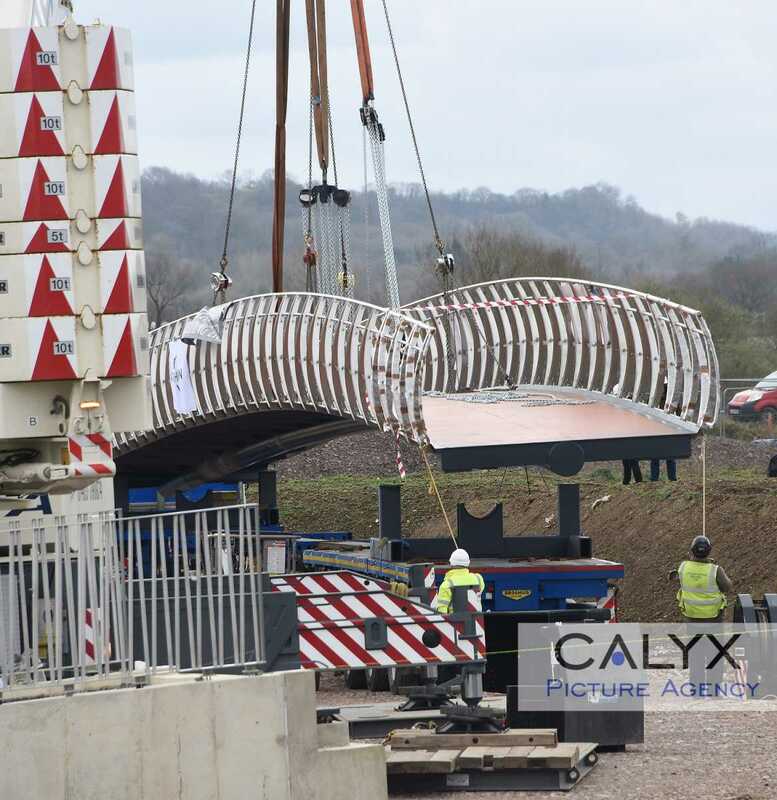 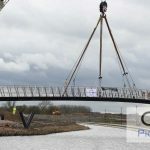 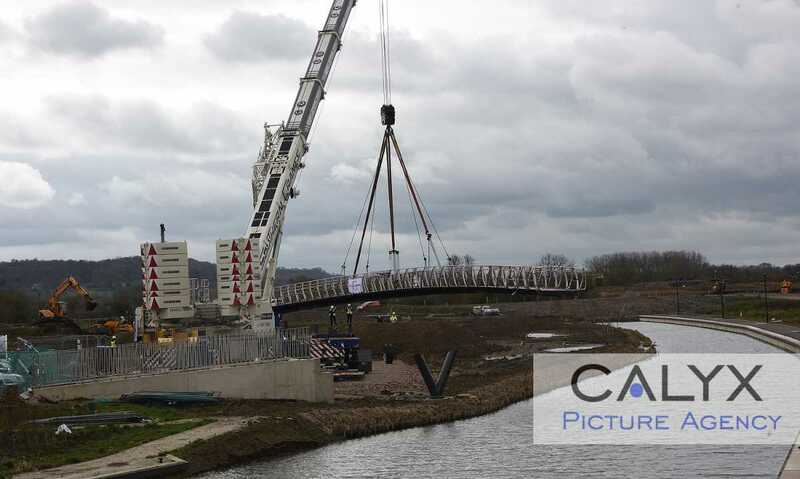 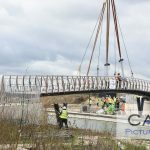 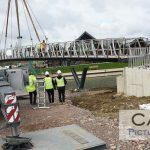 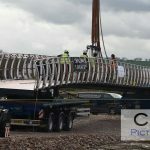 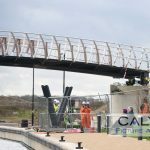 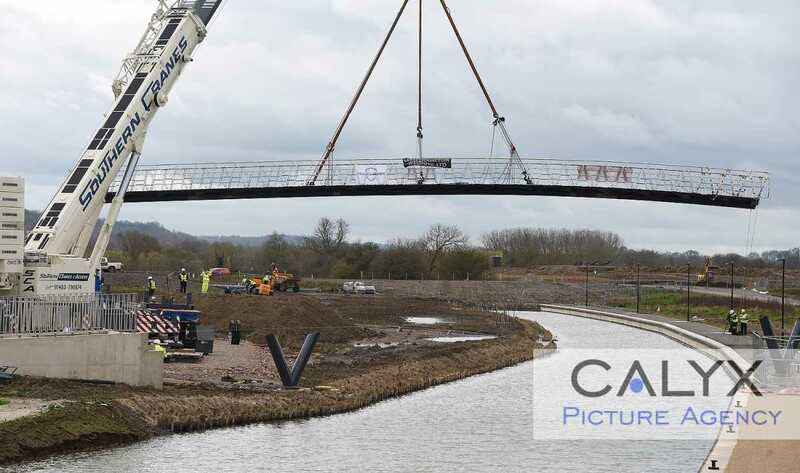 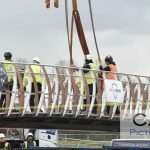 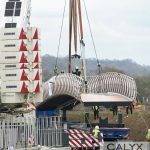 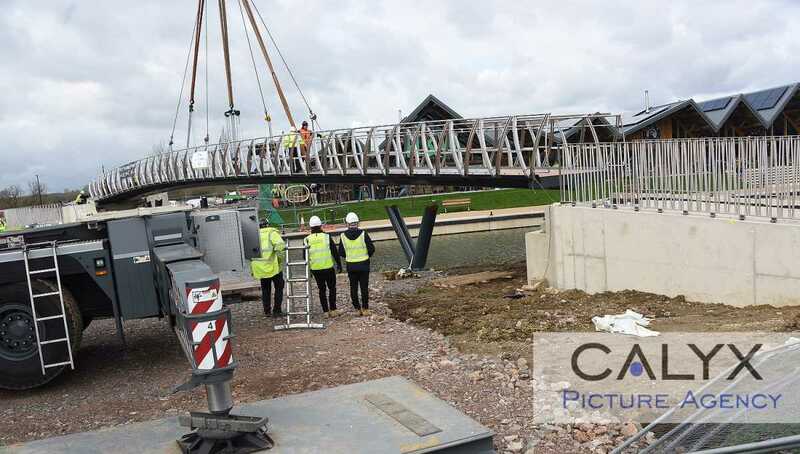 Calyx News, Swindon News | March 18, 2019 by Richard Wintle | Comments Off on The canal is bridged. 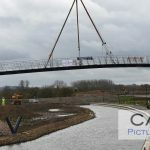 Swindon’s latest landmark is lowered into place at Wichelstowe. 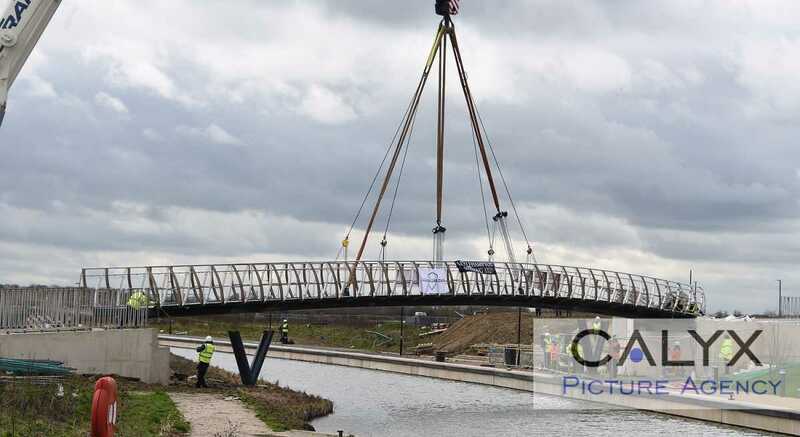 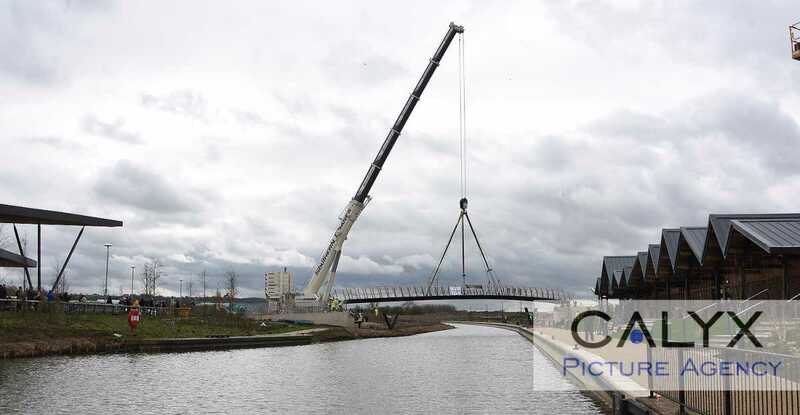 The 35 meter bridge spans the newly dug canal from Waitrose to the new pub. 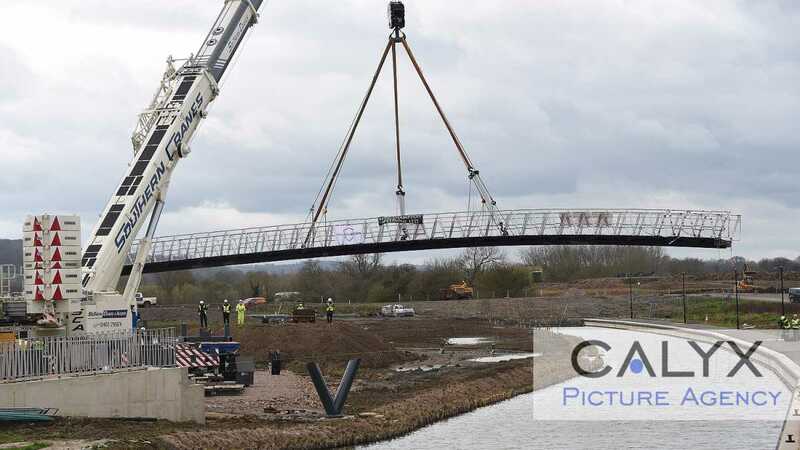 Anyone for a quick trolley dash and a pint? 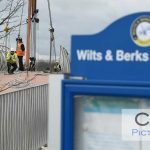 « Window Wanderland shines a light on Old Town Community.